1. Put the lemon juice, salt, half of the vinegar, the garlic, onions, and lemongrass in the blender. 2. 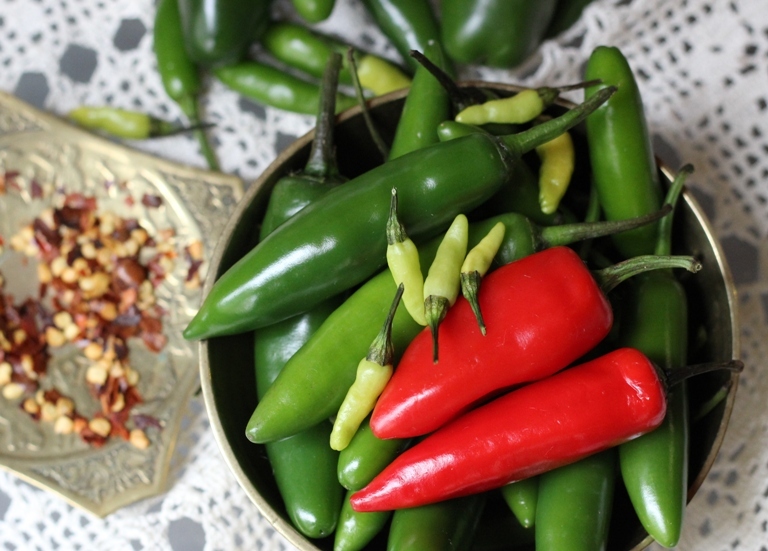 Using scissors, snip the chillies straight into the blender – that way you don’t touch them too much. 3. Have a squiz at the liquid level. 4. Add more vinegar and/or extra lemon juice to top of chillies. 5. 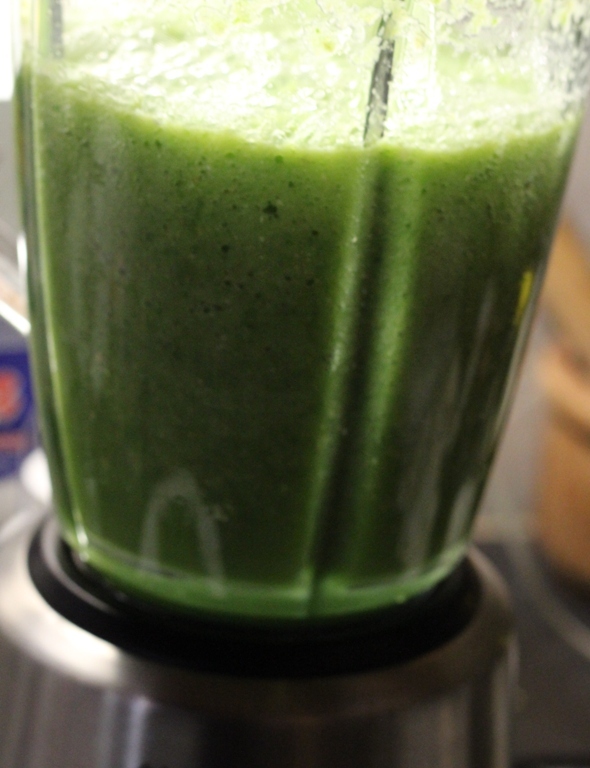 Blend until smooth, pulsating, glowing, and bubbling surreally. 6. Pour two thirds of the way up in your alcoholic bottles using a funnel. If it overflows and lands on your toes – it will burn your toes – just saying. 8. Pour some into a teaspoon and taste. 9. Stick your tongue in the cup of yoghurt, wipe your eyes and blow your nose. 10. Adjust seasoning or add liquid as desired. 11. Store in fridge – it just gets better. My two year old vintage is absolute mellow chilli gold. 12. Decant bits into cute and innocuous looking containers to gift to less favoured unsuspecting relatives (if you can stand to share). Tell them it’s a special mild piquant sauce that you made just for them. Put cute bows on them for emphasis on cute. This sauce can be as hot or as mild as you like. 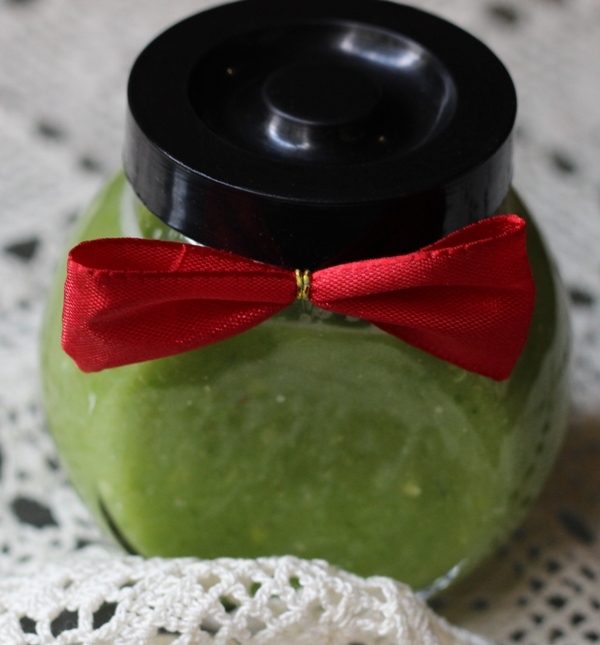 I generally make large batches – some all green and some all red, and then I fiddle with them over the next couple of weeks, mixing them with each other and adjusting the seasonings or adding more liquid. They’re generally hot as Hades for a couple of days when still fresh, but they mellow and develop character over time like the finest of wines. Keep them in the fridge. I like to make loads because they really are at their best six months to a year later – just give the bottles a little shake and a sniff (what sinus issues?) a couple of times a week. For this innocent looking batch, I used a mixture of Bullet, Jalapeno, New Mexico, and Mozabique Bastardos, so for my taste it’s pretty mild, although those little green Bastardos will blow the teeth out of your face if you eat them alone – I only added fifteen of them to this recipe. The garlic and the onion form the base for the sauce, and create the flavour to enhance and make the bite all the more pleasurable. Don’t worry about this sauce going bad – there’s not many germs in the universe that could hang around in those bottles and live. For those among you who are sissies (no insult intended – maybe 😀 ) you can add a couple of chopped green peppers. This makes for a wonderfully mild sauce, with just a tiny kick. For those masters of heat though, feel free to lob in a Habanero or three, or Scotch Bonnet – but remember – the Ghost Chilli is pretty demonic, and can actually kill you you I think, so tread lightly with that one. This entry was posted in Feathered Horde & Random Rambles, Recipes, Uncategorized and tagged Apple Cider Vinegar, Chilli Sauce, chilli sauce recipe, chillies, green Chillies, lemon juice, Recipe, Uncooked Chilli Sauce. Angelic Business 1 – Pink Matters by Olga Núñez Miret – Launch Week Book Tour! Thanks for this. I’m guessing this is still thin enough and pouring consistency after its sojourn in the back of the refrigerator — so how do you use it (apart from for degreasing stubbornly seized items of heavy machinery)? Do you put it on during the cooking process, or is it a side item. Meat, fish, cheese… the as-yet-unready world must know…. 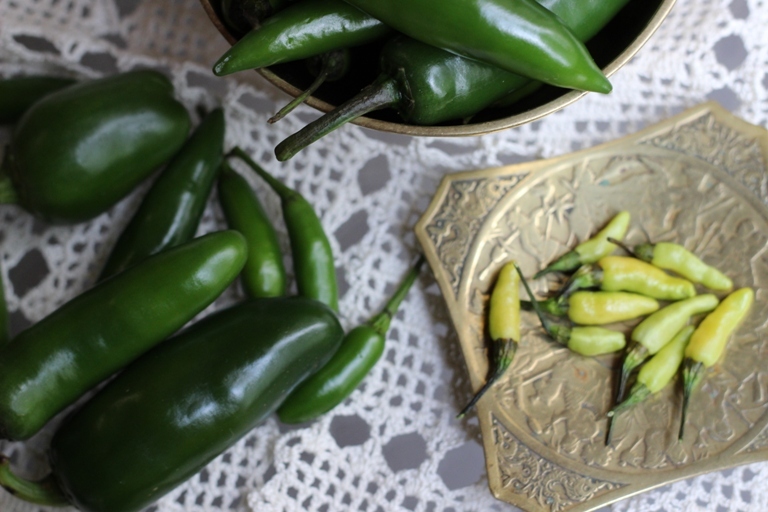 Hot chilli sauce from Jo – with some great photographs of the real stuff – can’t beat cook from scratch. Lure them in with the cute little bows, will you? Delightful stuff. Great suggestion of the unwashed Vodka bottles…and the caution about eyes – Wheweee! I may have to try this one. I love spicy sauces… Must get organised and give it a try. Thanks Jo! Looks yummy. I like the little jar with the red bow as much as the vodka bottles full! What happened to all the vodka? Thanks for sharing and I’m a darned sissy! How about sending the actually chili sauce? Hmm? My address is…..
Oh, my, gosh, “Don’t fiddle around with your eyeballs.” Hilarious! But necessary! I am thinking that a jar of this would make a wonderful gift. Yum that sounds ace. I am going to have to try and make this. As a European I’m used to weights and measures so I haven’t a blind clue how much a cup is but I’m sure I can bodge something. Mwahahargh.